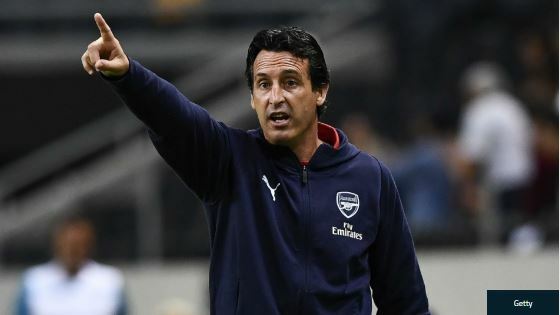 Arsenal manager, Unai Emery, has blamed injuries for his side’s 3-1 loss to Manchester United in the FA Cup on Friday night. United raced into a two-goal lead, thanks to Alexis Sanchez and Jesse Lingard, before Pierre-Emerick Aubameyang pulled one back in the first half. However, Anthony Martial sealed victory late in the game, with the Gunners fighting for an equalizer. “At 1-2 I think we were in this moment with the possibility to draw or to take the possibility to win today. “But I think these injuries, above all the second injury with Koscielny, didn’t help us. “Two injuries change a lot our possibilities,” Emery told reporters after the match. The post ‘Why Man United Beat Arsenal 3 – 1’- Unai Emery appeared first on Naijaloaded | Nigeria's Most Visited Music & Entertainment Website.